Appearance: Black background with a very light scattering of dark grey flecks. Regular large and darker concentrations of biotite may appear. Properties: Colour variations may occur to some extent, even in the same batch. It is recommended to seal this stone to extend its longevity. When held against the light, at certain angles the groups of crystals show a different breaking of light which can give the material a different appearance. This phenomenon is inherent to the material. This granite is frost resistant. 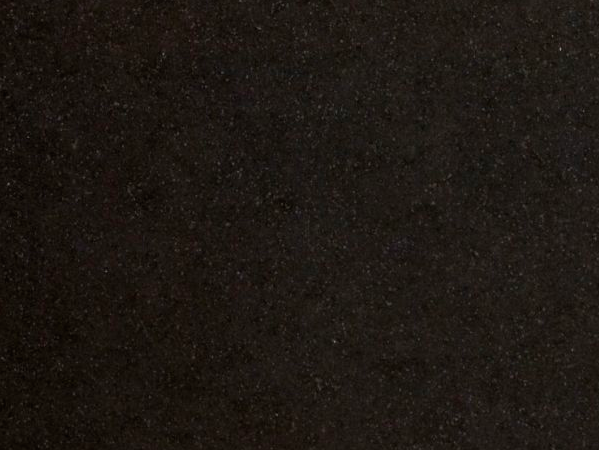 Use: Due to its excellent wear resistance (class 5), this natural stone is suitable for all internal and external uses, including floor, kitchen worktops and other bespoke stonework in private and public environments, even with intensive traffic. We recommend not to use the honed finish for external use due to its more smooth surface. The stone material and the stone finish should be selected to suit the area it is being applied to.